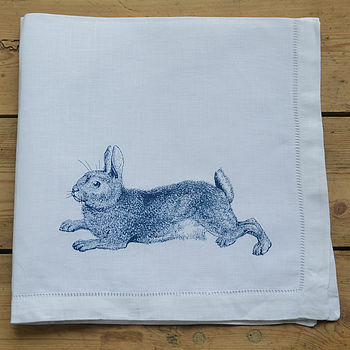 This linen or cotton napkin will certainly add a fantastic flourish of style to your dinner table. A perfect choice for a Christmas dinner with friends and family. It is also fabulous for Sunday lunch or a barbecue. It would also make a chic and special accessory for any fun party or gathering. It will make a wonderful special gift for someone who adores entertaining, or just has a passion for food and all its trimmings. Why not just indulge yourself and enjoy your meals with a twist of individuality and creativity. 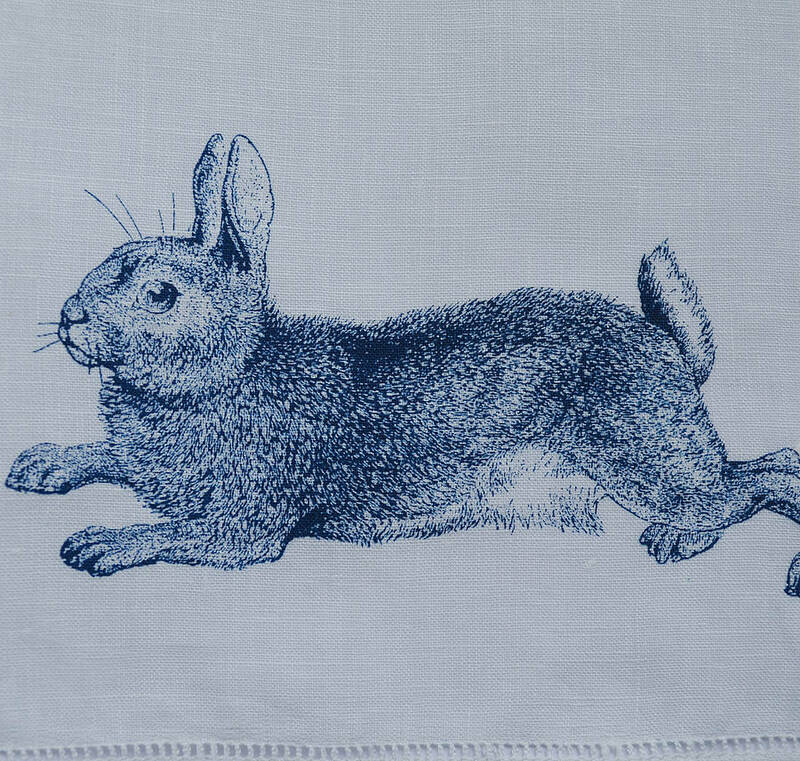 Hand-printed in my London studio using water based inks. 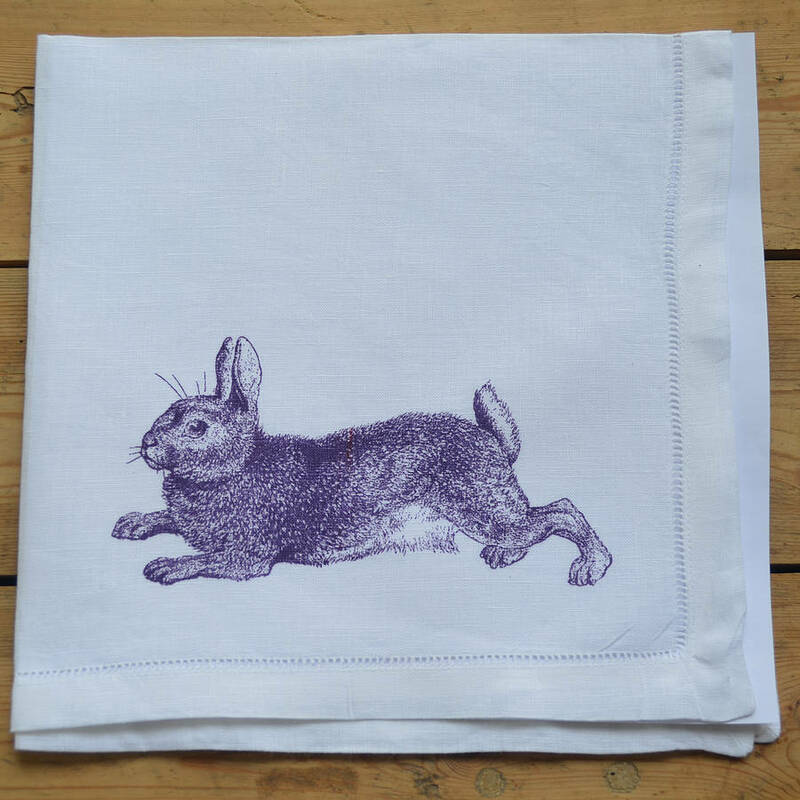 This napkin looks great as a set of the same design, but why not choose to combine various designs and colours to achieve a quirkier, personal, eclectic vibe? Available individually for you to buy sets of the same design, or to mix and match. 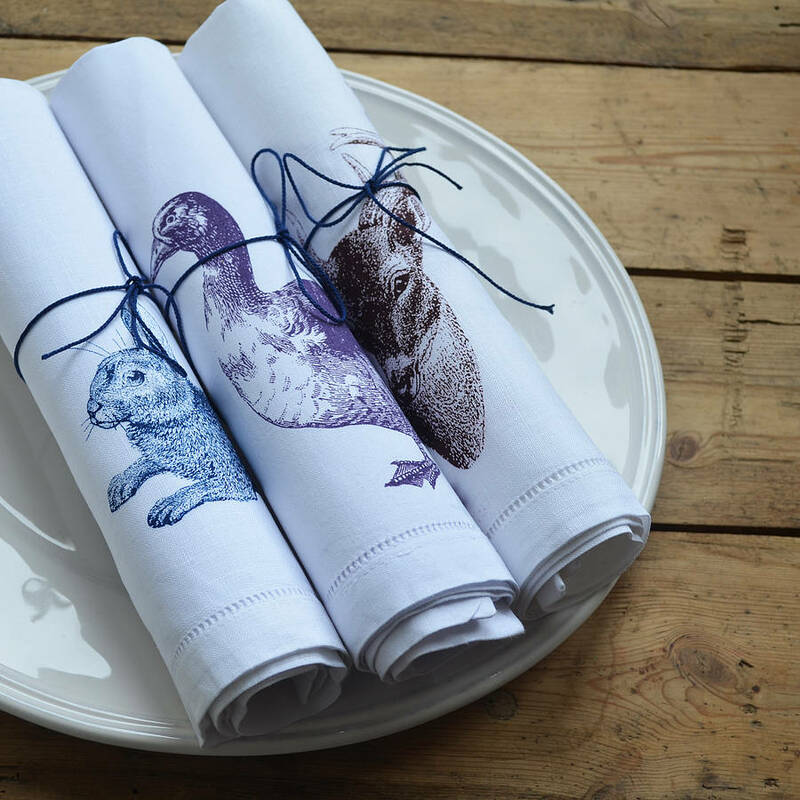 You can choose from many hand-printed designs such as, pheasant pie, flying pheasant, chickens, duck, turkey, spit roasts, pig, tomatoes, peppers, mushrooms, cabbage, garlic, artichoke, prawns, lobster, crab and many more. 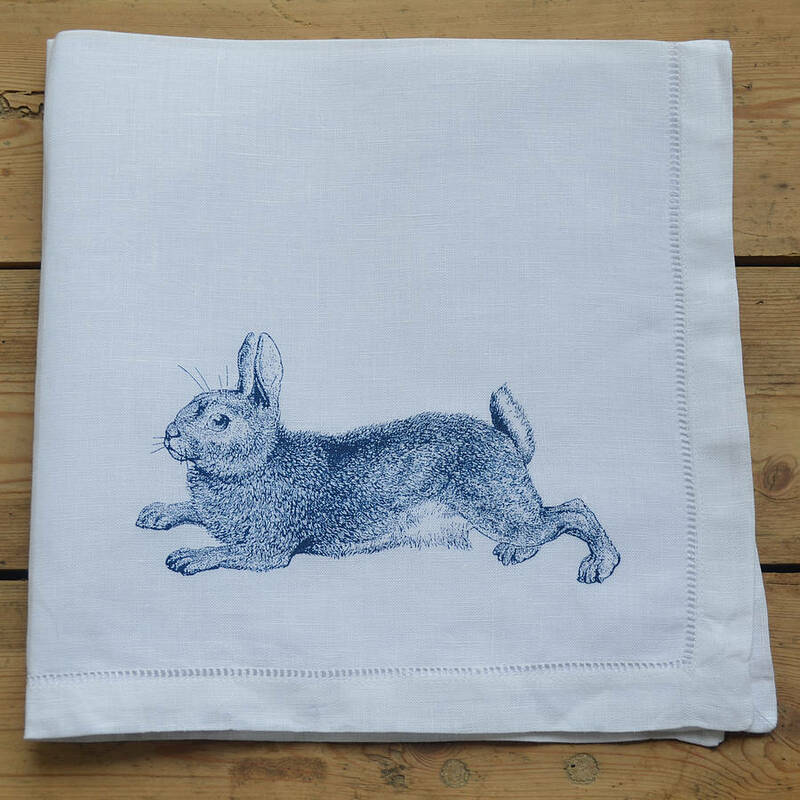 Please see my other products for the whole range. Choose from 100% white cotton or lightweight linen. Hand-printed with water based inks. Please note that the cotton is a brighter white than the linen. Best dry cleaned but thay are fine to be hand washed or machine-washed on a medium heat.